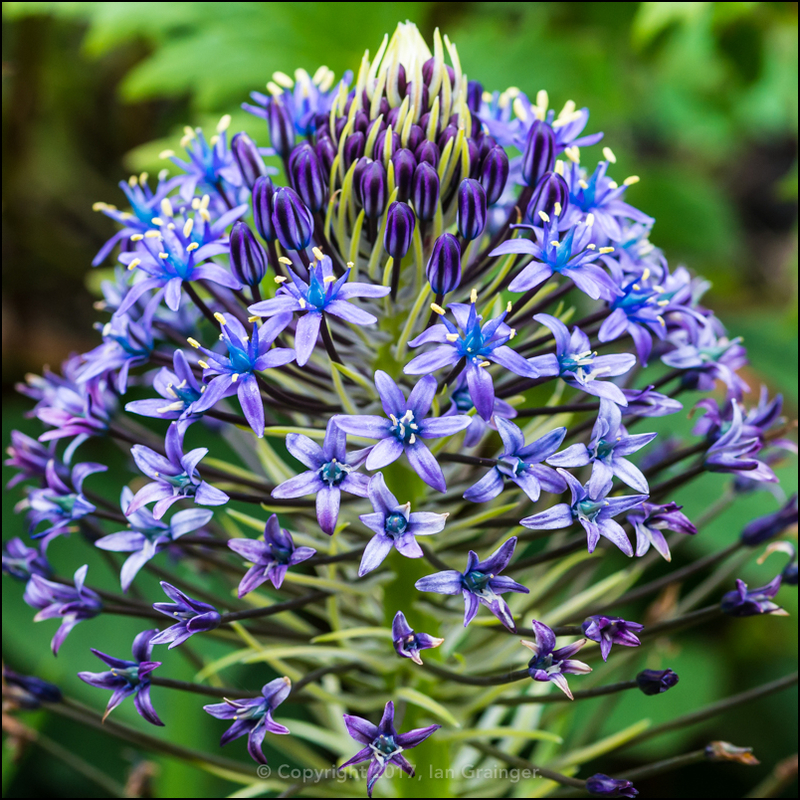 This week I'm kicking off the article in my garden, where I had planted lots of Alliums, mainly to attract the Bees and the Hoverflies. 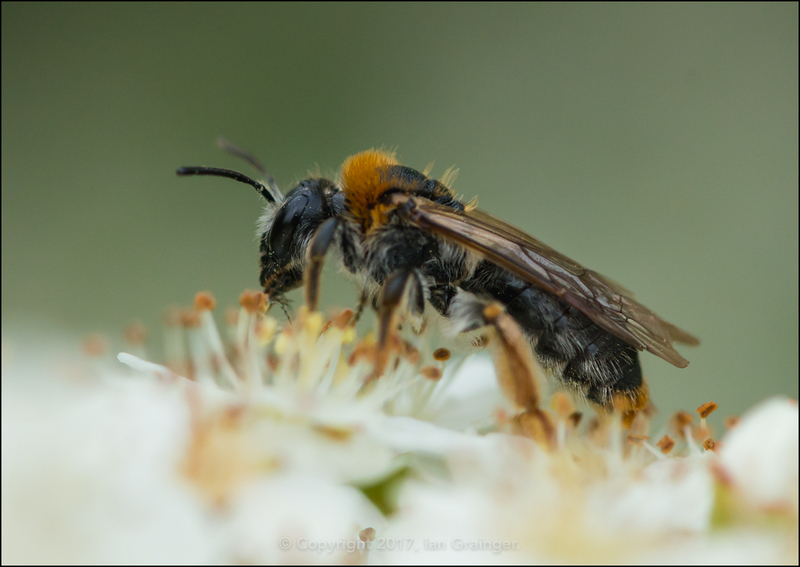 They also attracted quite a number of Crab Spiders (Misumena vatia). 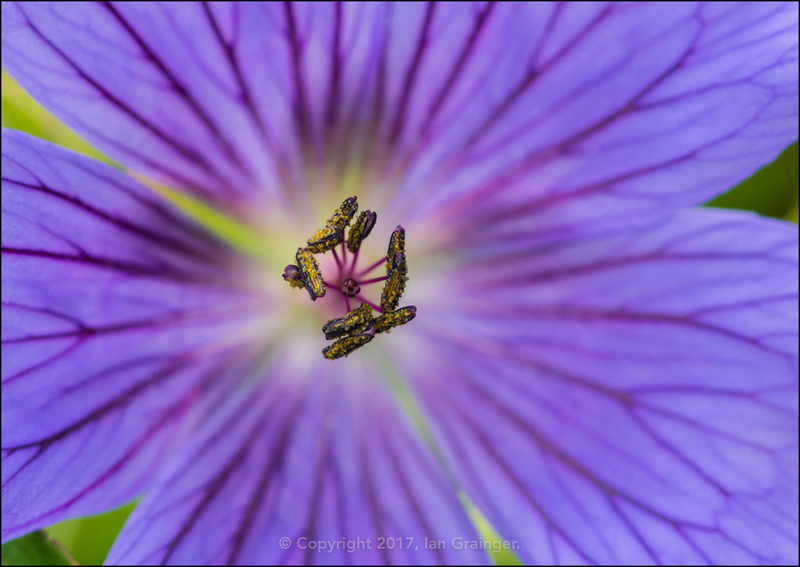 These small predators lie in wait within the Allium petals, lingering until an unsuspecting insect comes within striking distance. They then pounce with lightening speed and it's unlikely that the unfortunate prey ever knew what hit them. 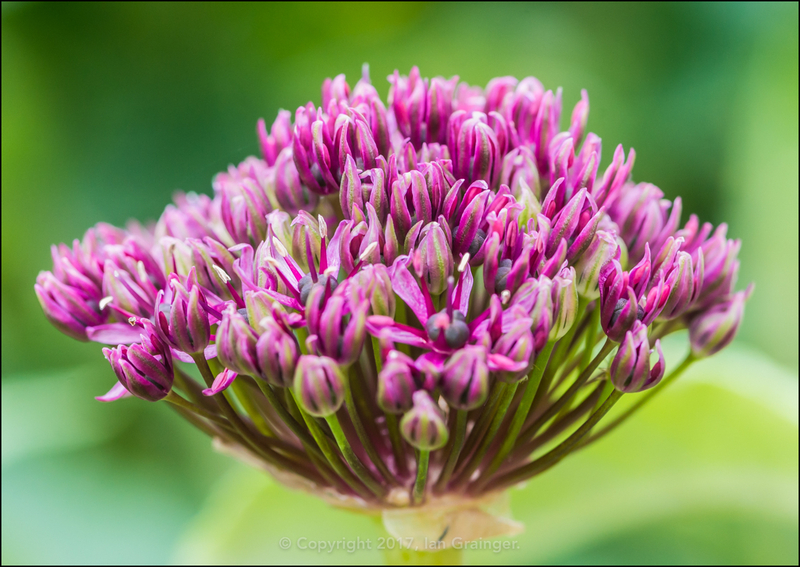 My Allium flower heads were literally littered with Bee bodies! 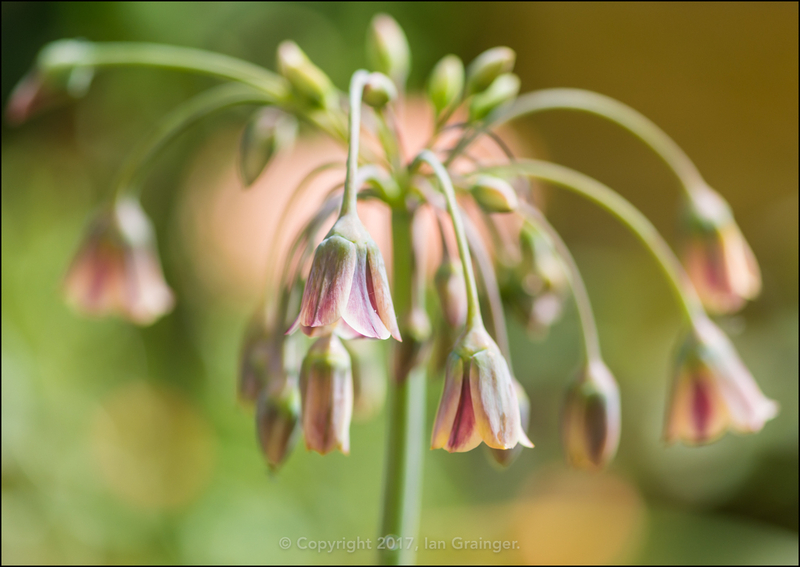 My favourite Allium this year has to be this Sicilian Honey Garlic (Allium Siculum). 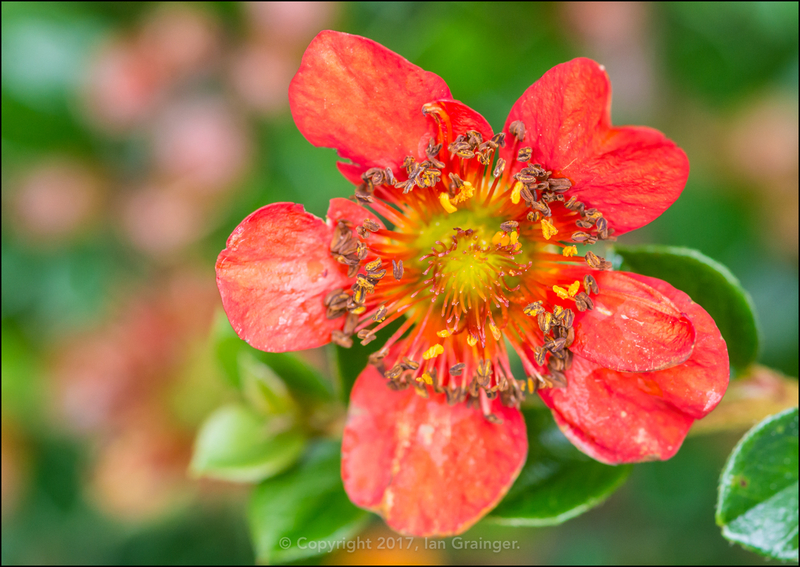 It's not the easiest flower to photograph, but it's quite rewarding when you get a nice image of it, and it looks quite spectacular on my patio. I'd been waiting for this Allium 'Star of Persia' to open for quite a while, and have been pretty disappointed by the results. I was expecting it to be much larger, with denser flowers, but it seems quite short and lacking in florets. 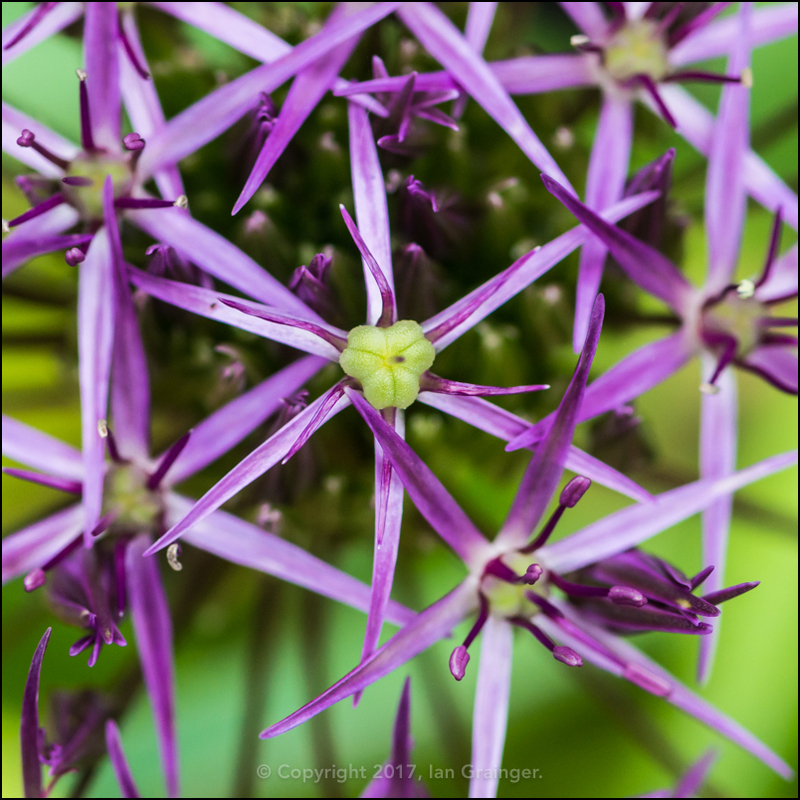 I'm not one hundred percent sure which Allium this is! It's either 'Mount Everest', which will eventually sport some white flowers, or 'Blue Globe', which will, as the name suggests, have blue flowers. It's quite tall though, so I'm suspecting it is 'Mount Everest'. The Portuguese Squill (Scilla peruviana) is once again, almost there. It's taking an excruciating long time to reveal all of its little blue flowers, but I'm enjoying the anticipation. 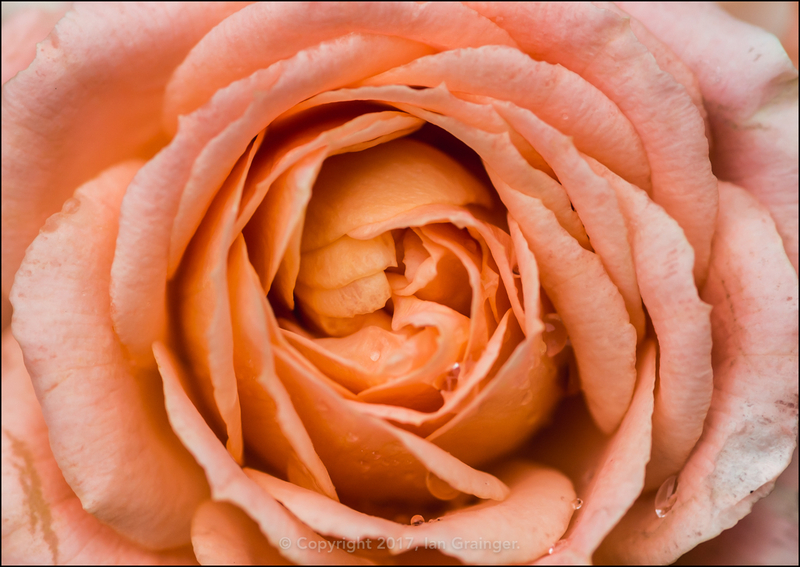 Finally in my garden, Rosa 'Sweet Dream' had opened, and was looking particularly nice after a shower of rain. 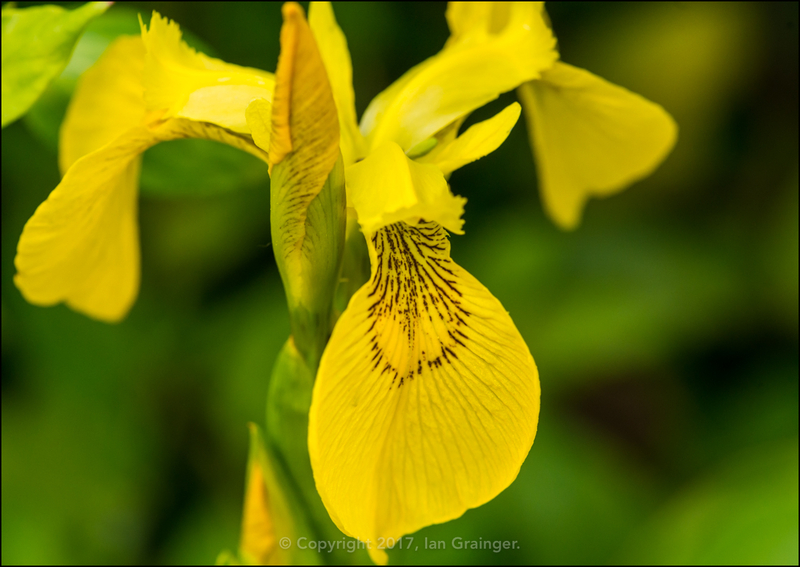 Over in dad's garden this week, it seems that the Iris have arrived. 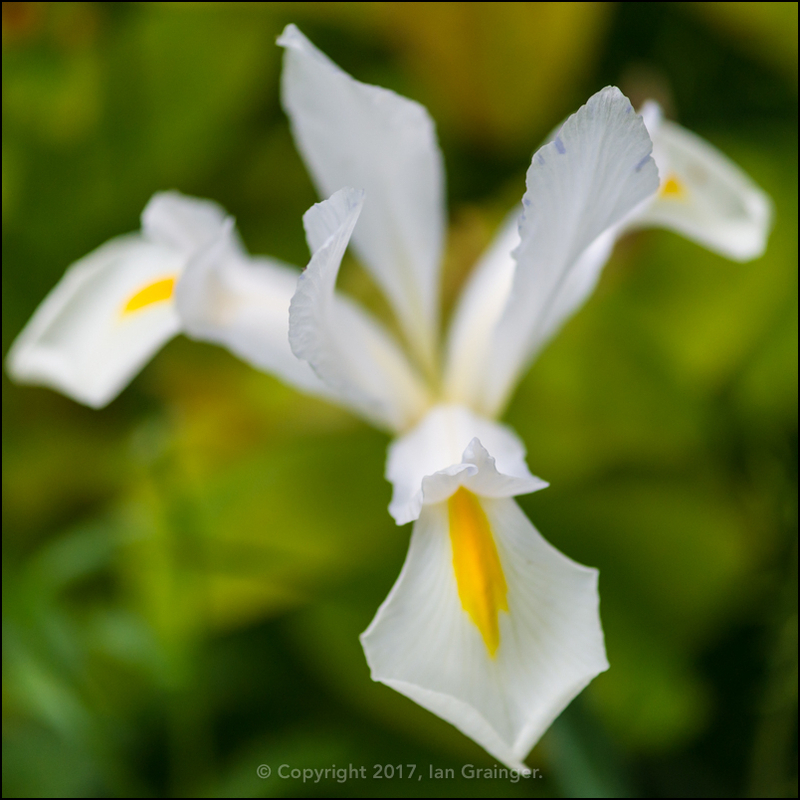 This pure looking white Dutch Iris (Iris × hollandica) was definitely the pick of the crop from the new arrivals. My Flag Iris (Iris pseudacorus) had already been in bloom for a couple of weeks, but dad's were only just starting to appear. 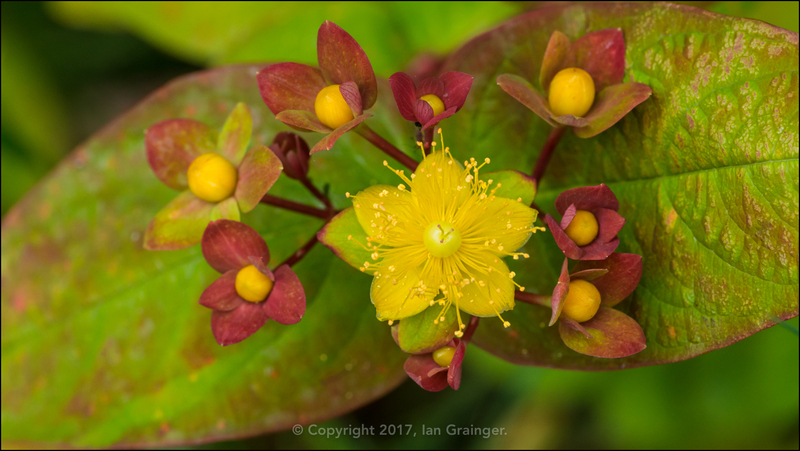 The Tutsan (Hypericum androsaemum) bush had only just come into bud, and one of the flowers was eagerly leading the way. The Blue Geraniums had also arrived, although most were also still in bud. 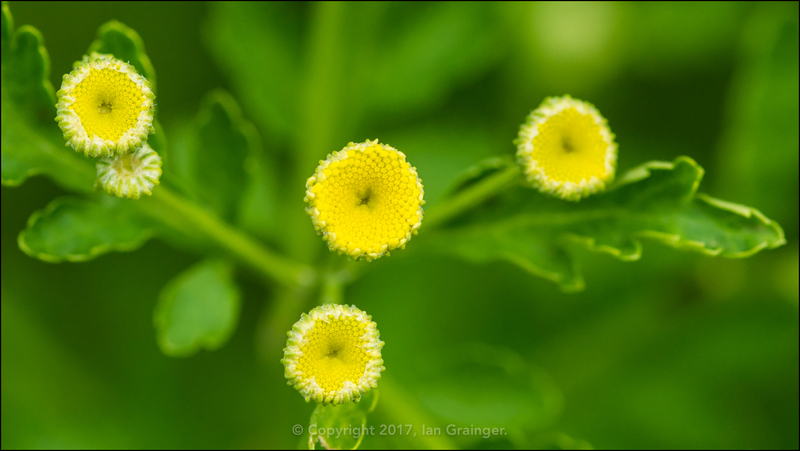 ...but I couldn't miss the returning Feverfew (Tanacetum parthenium) flower buds, as the plants seemed to have doubled in size since last year. 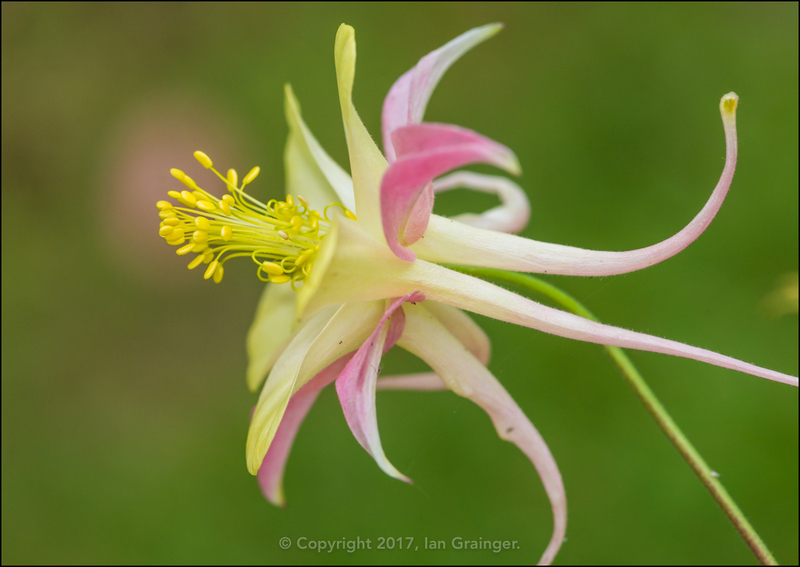 Granny's Bonnet (Aquilegia) blooms have been in abundance in dad's garden, and this week a new variety popped up, although I'm unsure what it's called. 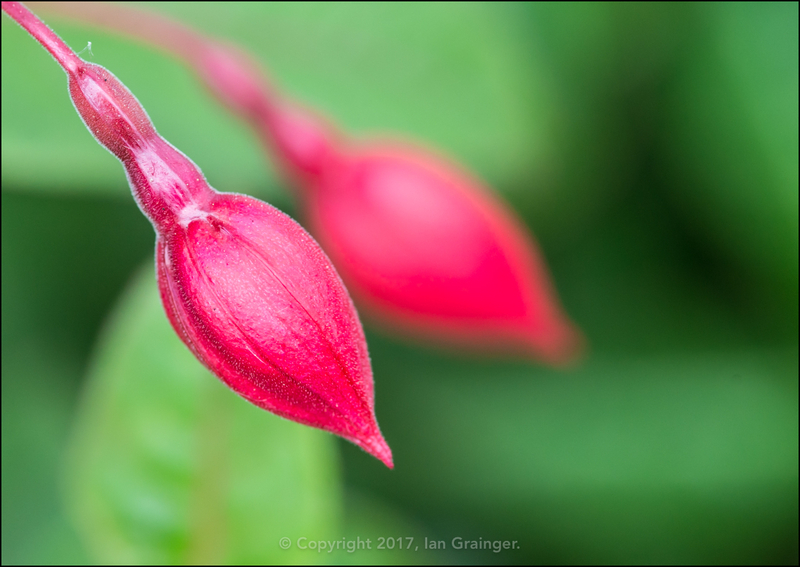 The Fuchsia plants were also returning, with these red ones climbing through the Camellia bush. 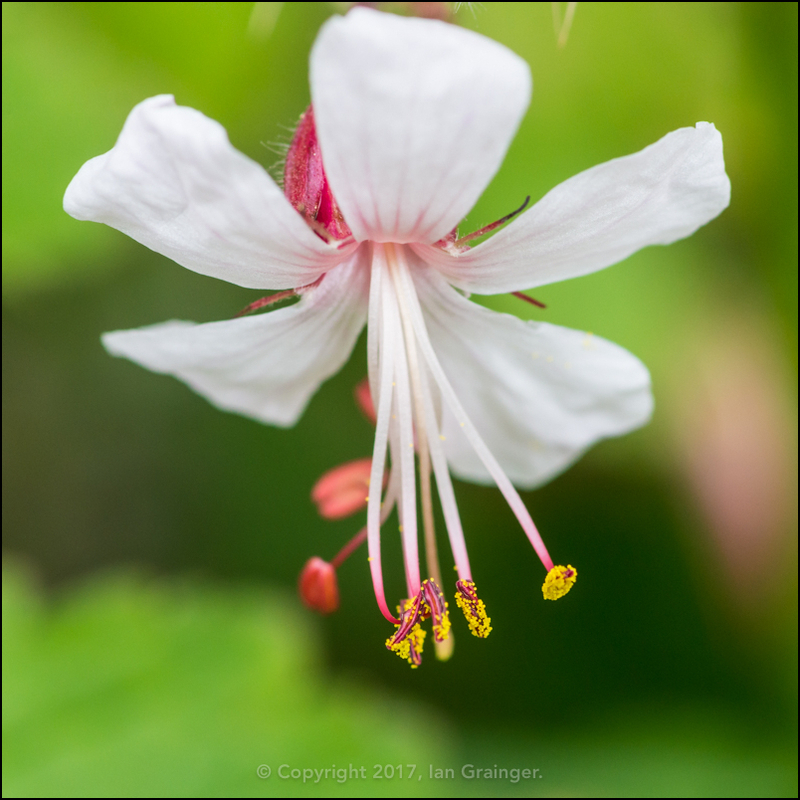 The small white Geraniums were still doing well, and I loved that you could see the individual grains of pollen attached to their stamen. 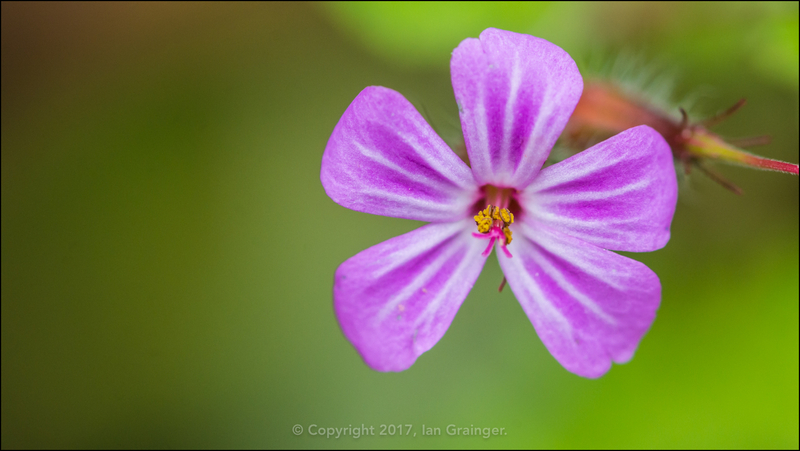 The Herb Robert (Geranium robertianum) was still putting on a lovely display, and was still probably my favourite weed - or should that be wild flower? 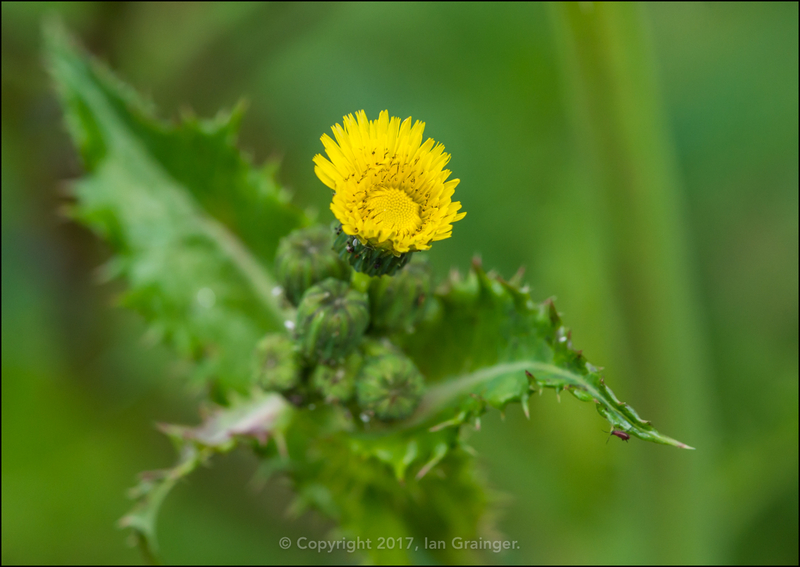 Definitely not one of my favourite weeds was this Prickly Sow Thistle (Sonchus asper), however, as the insects seemed to love it, a few had been left in for them to enjoy. 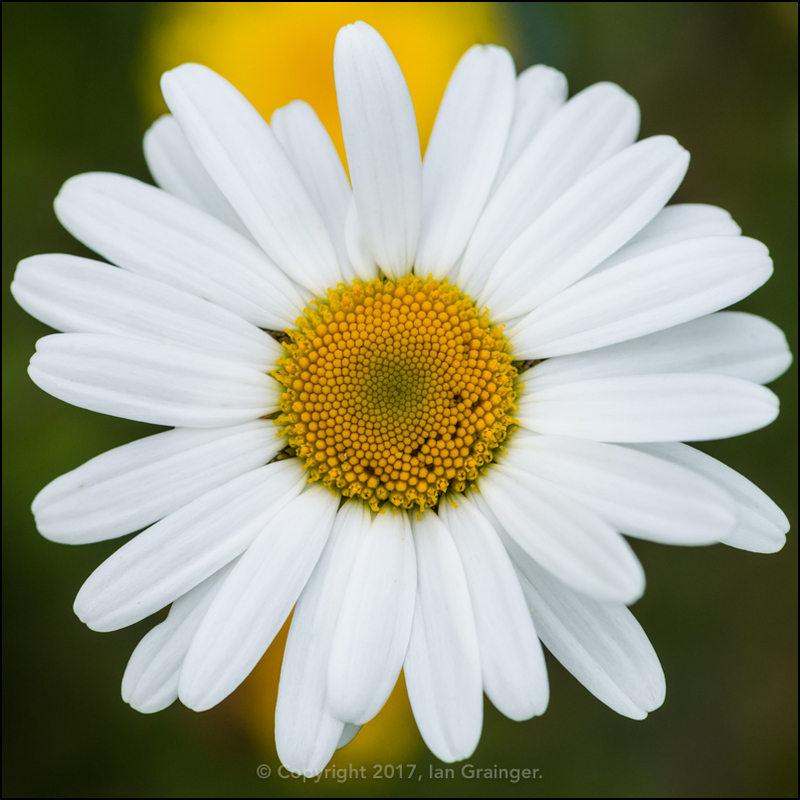 The Oxeye Dasies (Leucanthemum vulgare) had finally burst into bloom, and were looking particularly radiant this year. 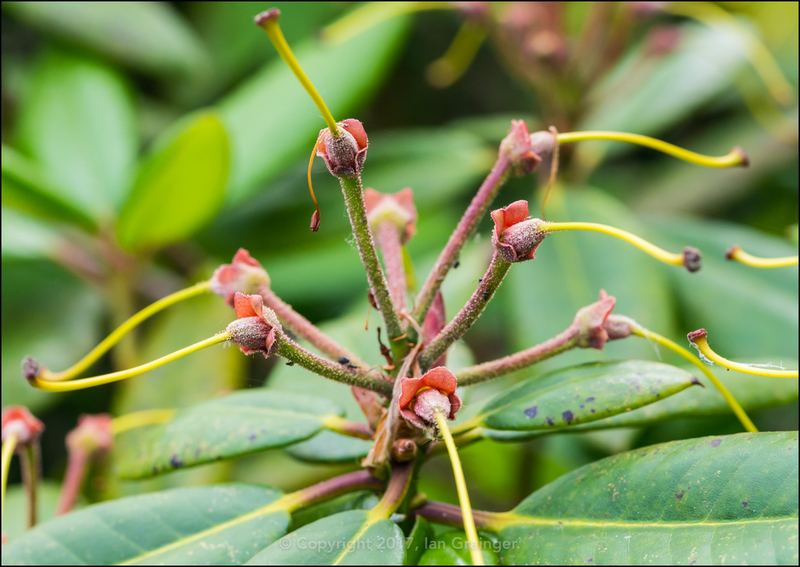 Which is more than can be said for the Rhododendron blooms! We'd waited nearly six months for the buds to open, and only two weeks after doing so, they were gone. 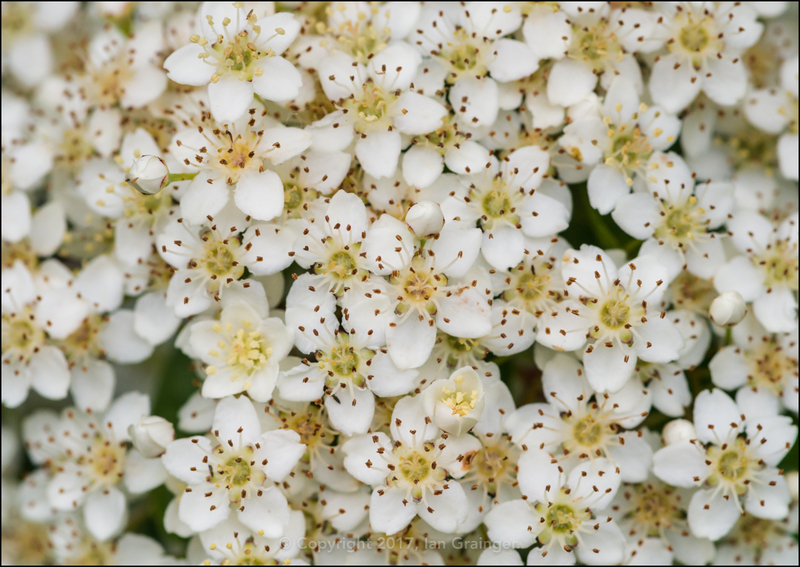 However, the Firethorn (Pyracantha) bushes were looking amazing, and were absolutely covered in these stunning small white blooms, which were a real hit with the insects. 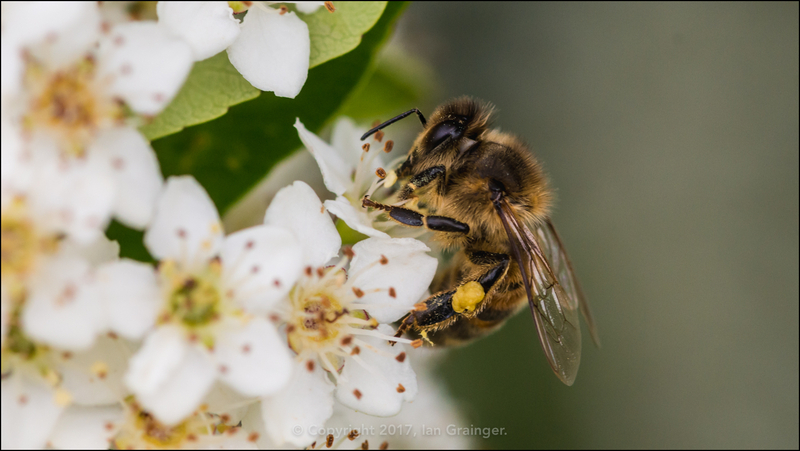 ...as was this Honey Bee (Apis). 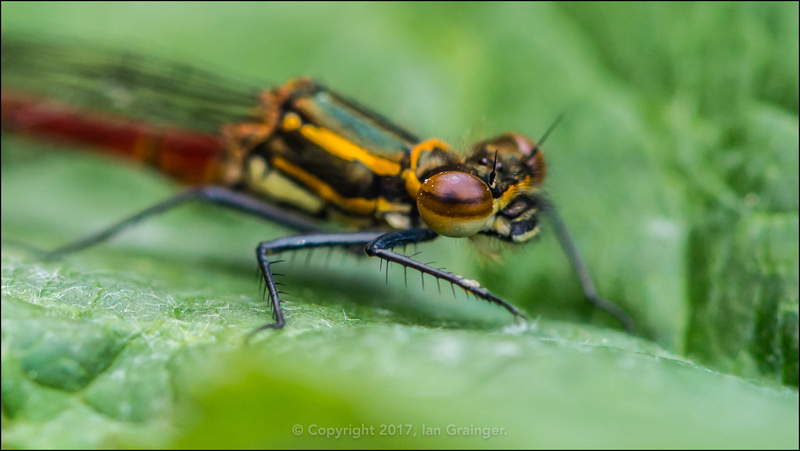 Since my early encounter with a Large Red Damselfly (Pyrrhosoma nymphula) a few weeks ago, I hadn't seen any more Damselfly, until this one fluttered by and landed on a leaf right next to where I was trying to find a Frog to photograph! I never did find the Frog, but the Damselfly was excellent by way of compensation. 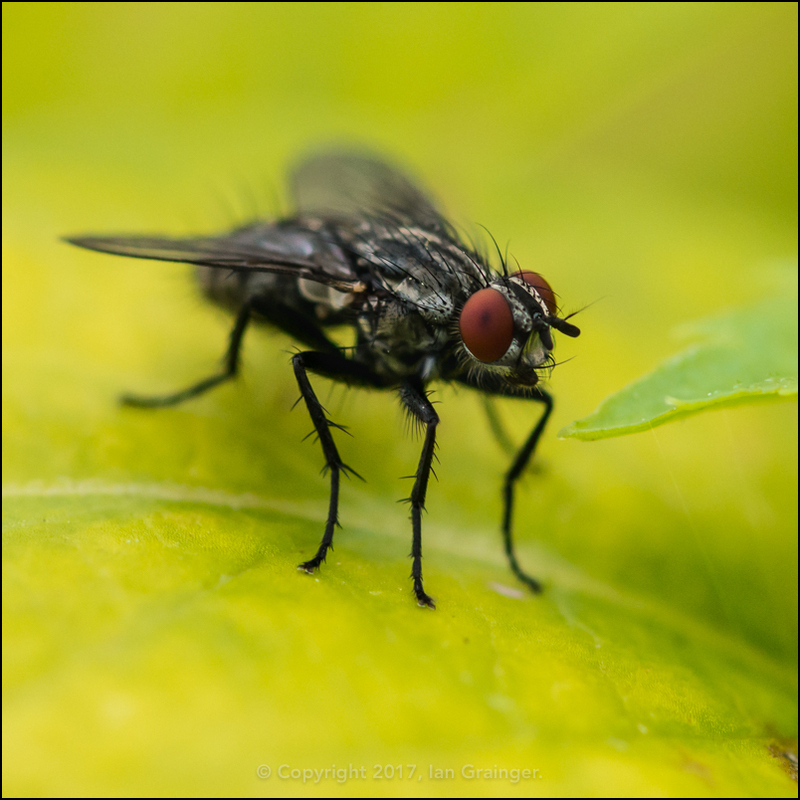 Right next to the Damselfly was this Flesh Fly (Sarcophaga carnaria), and I couldn't resist including it, as I love the dot in the centre of his eye, which I'm sure was moving around watching me - or maybe I was just being paranoid! 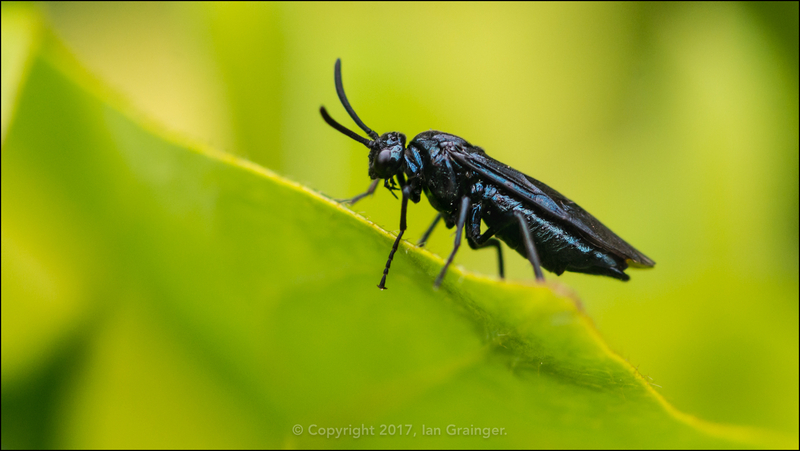 This Berberis Sawfly (Arge berberidis) was also keeping a close eye on me, but let me get close enough to snap a shot of him in profile. 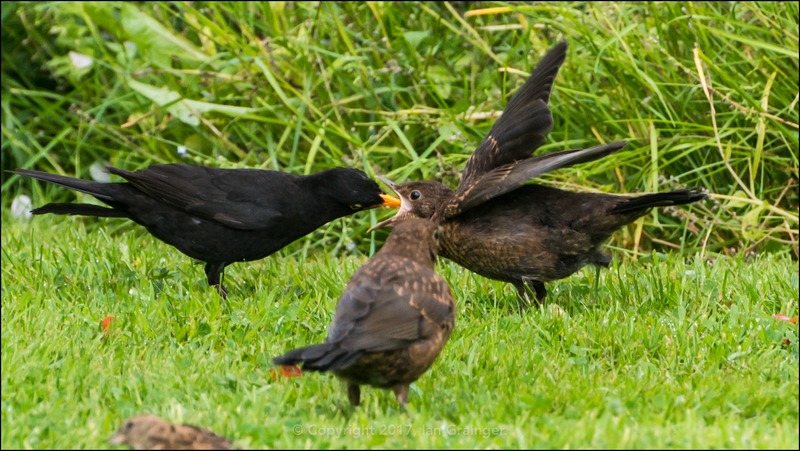 I just had to include this shot of a male Blackbird (Turdus merula) feeding one of his chicks. I was pretty annoyed at the time that the other chick kept photo bombing my shots, but I guess it's all part of the charm of photographing wildlife. Finally, I started with a Crab this week, and I'm ending with a Shrimp! 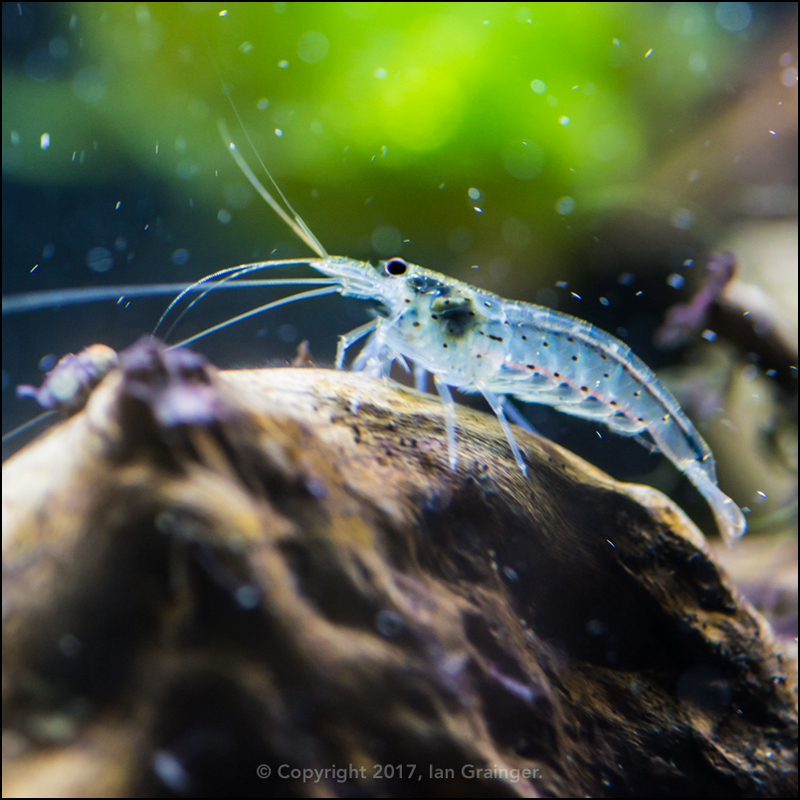 This is an Amano Shrimp (Caridina multidentata) and is one of a small group I currently have feasting upon Algae in one of my aquariums. 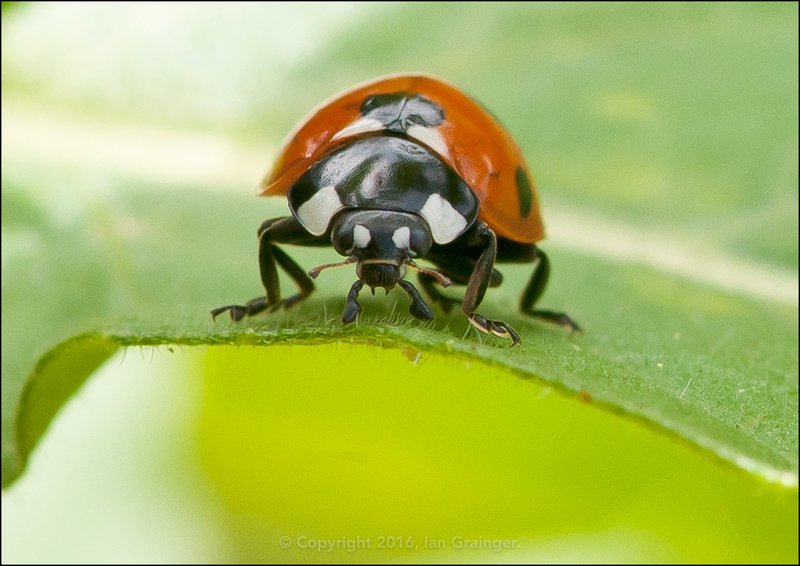 They're fascinating creatures, and so interesting to watch.